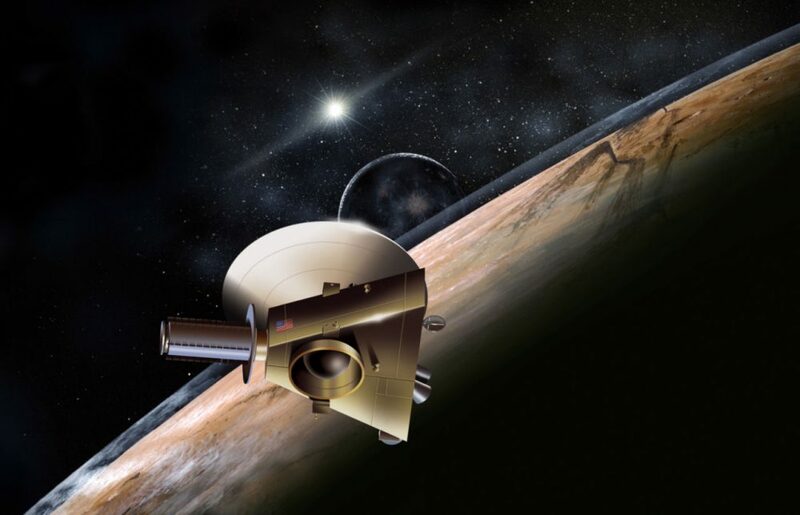 On July 15, NASA's unmanned spacecraft New Horizons is expected to encounter its primary target of Pluto. It's a project nine years in the making, and with 3 billion miles recorded, it is the longest, farthest and fastest-ever space mission. "Time flies when you’re having fun," Alan Stern, who leads the mission, told Here & Now's Jeremy Hobson. "We’ve crossed the entirety of the solar system and now we’re on Pluto’s doorstep." Stern spoke with Hobson about the importance of the New Horizons mission and what it could reveal about the solar system. "We haven’t done anything like this since Voyager in the 1980s, and nothing like it is planned to ever happen again – a first exploration of a new planet." “The images travel back like the other data at the speed of light, by radio. And from Pluto’s distance, 3 billion miles away, that’s about four and a half hours that the signals spend in route back to the earth. “We know that Pluto has an atmosphere and seasons. We see a polar cap. We know it has five moons, with very distinct colors, complicated surface composition. But we’ve never been to this new class of small planets that are the planets of the Kuiper belt, before. So we really don’t know what to expect. It’s very much like the early pioneering days of space exploration. "You know, I’ve thought about that a lot myself, I'm glad you asked. It’s interesting - Pluto’s almost a brand unto itself. It’s the farthest. It’s the most diminutive of the classical planets. It’s been maligned by astronomers. It’s always the one with all the question marks in the back of the textbook in the table. I think children identify with it because it’s smaller, kind of cute. All those things combined. "And of course, people love exploration - unwrapping that Christmas present to see what’s inside. We haven’t done anything like this since Voyager in the 1980s, and nothing like it is planned to ever happen again - a first exploration of a new planet - by any space agency on Earth. So all of that is just building excitement for this fly-by by NASA." Alan Stern, principal investigator of the New Horizons mission to Pluto. He tweets @AlanStern. This segment aired on June 30, 2015.